KIEV, Ukraine -- The International Monetary Fund said on Friday it will only release a new tranche payment to Ukraine once parliament approves a long-stalled pension system overhaul and land privatisation legislation. The IMF said after completing its latest mission to the war-torn country that Ukraine's economy was continuing to recover from a dire recession and was on course to expand by more than two percent of gross domestic product this year. Ukraine is using a $17.5-billion (15.6-billion-euro) IMF lifeline to recover from crises sparked by a Russian-backed war in the separatist industrial east that began in April 2014 and has claimed more than 10,000 lives. 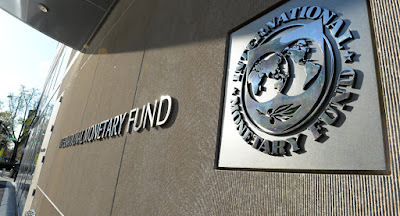 But the IMF now expects Ukraine to achieve sustainable growth by cutting the expense of a pension system that accounts for nine percent of gross domestic product and supports about one third of the population. It also wants land sales approved by a parliament in which the government holds only a slim ruling majority and where opposition to the proposal is strong. The IMF said its "discussions focused on the pending pension and land reform and on measures to speed up the privatisation process". "Securing parliamentary approval of these draft laws will be needed to pave the way for the completion of the fourth review," it said in a statement. Ukraine has so far received only $1 billion of the $4.5 billion it hopes to see from the IMF this year. A spokesman for the global lending body told AFP that the size of the next tranche payment would be determined by the IMF's Executive Board after the legislation in question is passed into law. Overall, Ukraine has received $8.3 billion from the IMF since the package was approved in February 2015. Prime Minister Volodymyr Groysman has prepared a pension overhaul plan that will undergo further reviews before being submitted to parliament. Senior officials had said they do not intend to tackle the land privatisation issue until 2018. London-based emerging markets economist Timothy Ash said opposition forces in parliament led by former premier Yulia Tymoshenko could use the land reform issue as a pretext for trying to oust the government.